When Spring comes, we think of many things along the lines of “cleaning”. Spring cleaning can take place in your house and your garden. It can also take place in your body, mind and spirit. Spring is also a good time to let go of what no longer serves us. This is a good time to reflect on the changes we want to make to be healthier, happier and more peaceful. I’ve added something to my life that is absolutely transformational. In fact, they call it Transformational Breath®. It has truly transformed my life, personally. It can help you let go of those things that no longer serve you. It can help you process old baggage, very simply, through the breath. Dr. Henry Rohrberg, a noted psychologist, trained in Transformational Breath®, is quoted as saying “One session is equivalent to about two years of psychotherapy”. Does that sound cool or what? If it comes up in a session, it is on its way out and permanently integrated. I’ve had amazing things happen for me personally, but I have also seen amazing transformations in my clients. This breath work has an impact on three levels, body, mind and spirit. Physically, we are fully oxygenating the body to bring vitality to the cells and promote detoxification. We are also energizing the body. 75% of your energy comes from your breath! In 1931, Otto Warburg was awarded the nobel prize for his work that showed that cancer can not live in an oxygenated environment. Transformational Breath® is actually the least costly and least invasive of all oxidative therapies. (Other therapies being hydrogen peroxide, hyperbaric chambers, MMS etc.) 60% of your toxins are released through your breath. So, do you think you might want some of that extra energy and fewer toxins? What do we do when we are stressed? …We hold our breath. We restrict our breathing. Transformational Breath® brings awareness to your breathing. You will become more aware of your daily breath and breathe more fully and more deeply, naturally, so you can be in the flow of your life. This breathing is something you can do daily, just for a few minutes when you are feeling stressed or need more energy. Would you like to learn a quick and easy stress relief technique, that also re-energizes you? Transformational Breath® is the only breath work that can clear restricted breathing patterns, which are often created by birth trauma, cultural influence and by emotional trauma. Which brings us to the second level of Transformational Breath®, the mental and emotional level. Once the breath is activated, the subconscious can be cleared and negative thought patterns and past trauma can be transformed. If it is coming up for you, it really is on its way out and permanently integrated through the breath. Which means you are done with it! No two breath sessions are the same. When you are ready, the teacher will appear. When you knock, the door will be answered. What I find amazing, is that nothing comes up that I am not ready to resolve. If I am actively working on an area and set that as my intention, I make greater progress. As a trained certified facilitator, I use body mapping and positive affirmations during this level. Emotions are stored in the tissues of the body and are more easily accessible in this way. This only enhances the progress at the emotional level. The third level of Transformational Breath®, is the spiritual level. Our Spiritual connection is a very personal connection. It is our relationship with our Creator. It involves our deepest beliefs and our soul connection. When we get near the end of a breath session, we are in a wonderful meditative state that allows us to connect more fully in a spiritual sense. Maybe we have unanswered questions, or need peace around some situation, or maybe we are just open to insights. Oftentimes, these answers will come at this time. Maybe we need to get in touch with our life’s purpose, or direction. The door is open and we are in touch with our higher consciousness and we may get answers or just a peaceful feeling. Every session is different and amazing. Are you ready for Transformation in your life? New growth? What are you waiting for? Do you want to take your (all) relationships to the next level? Do you want more love, joy and peace in your life? Do you want a better spiritual connection? Do you want to be healthier? Are you ready to let go of that drama? those addictions? Are you stuck? Your life can be YOUR life, through Transformational Breath®. I have an amazing opportunity for you. I will be offering a Transformational Breath® Workshop on June 5, from 2:00 to 4:00 pm. This workshop will include a full facilitated Transformational Breath® session as well as breathing for stress relief for only $45. If you sign up before May 23, your Early Bird rate is only $35. This is a great opportunity for you to experience your breath and open new doors. You can register here. Private facilitated sessions with me are available and I also offer couples sessions and small private groups. If you would like to make an appointment online, do so here. I can also come speak to your organization and give them a taste of Transformational Breath® and teach a daily technique for stress relief (1 hour presentation). Please contact me by phone for these presentations. 512-818-7857 If you are outside the state of Texas and are interested, you can find a certified Transformational Breath® Facilitator near you by searching by state on this website or by calling 603.286.8333 for a referral. Workshops and events for Transformational Breath® are also listed on the main website. I look forward to a Transformational experience with you! Make an appointment today! Remember to sign up now for early bird pricing for the Transformational Breath® Workshop! Download a flyer here. More workshops and events will be coming. Sign up here to receive my monthly newsletter and stay in touch. To read more about Transformational Breath®, please visit my website here. Calendula, because when I hear the word “marigold”, I think of the Tagetes genus. Also, the word “pot” ?! One you plant in a pot? I had to investigate further. Calendula, historically was an edible flower/herb that was easily thrown into the stew “pot”, so it was considered a “pot herb”. Some of the older texts list it as marigold, but will refer to the Latin name as well, Calendula officinalis. When in doubt, always check your Latin names. Historically, Calendula was used as a natural dye for fibers and was also added to breads, soups and pickles for color and flavor. Calendula is easy to grow from seeds. They are kind of wormy-weird-looking seeds, but they sprout pretty easily. I typically plant the transplants in the fall as the weather starts to cool off. It is considered an annual. They grow great through the fall and winter and into spring, but that hot Texas sun will do them in. They like full sun and average water and soil that isn’t too rich. I grow Calendula for use in my products, so I know the quality is optimal. My bees also love it, especially when less forage is available over winter. 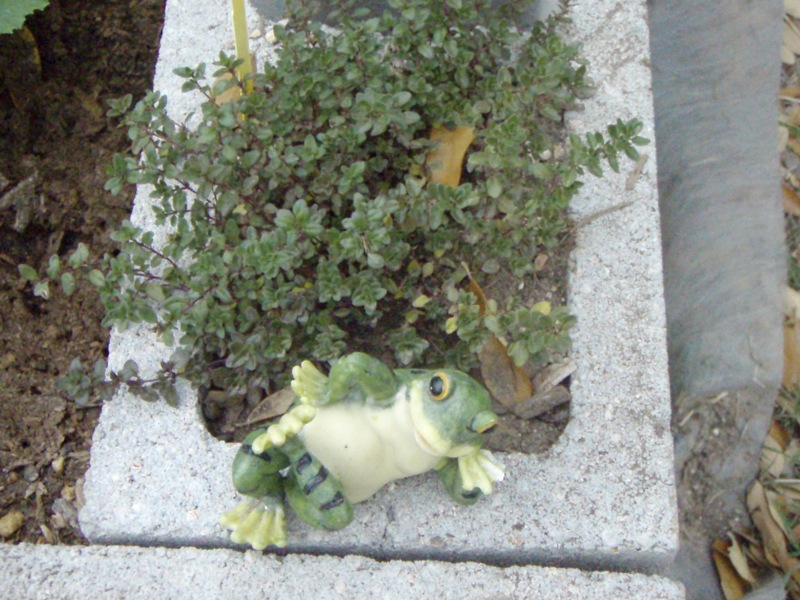 It is a great herb to grow in your first aid garden. They are usually found in shades of yellow and orange and the flowers are a little sticky to the touch. You can harvest daily with permission, respect, and gratitude and they will continue to bloom. Air dry the flower heads for later use. Flowers take longer to dry, so even if they look dry they may not be entirely dry. If you seal them in a glass jar and they are not dry, they will mold and you will not be able to use them, except for compost. Dried herbs are best stored in a glass jar and protected from heat and light. If the color and smell fade away from your herbs, you know the medicine has also faded away. Triterpenes (calendulosides A-D, carotenoids) ; immunomodulating polysaccharides (arabinogalactans); Flavinoids (rutin, narcissin), volatile oil, chlorogenic acid. Basically, these phytochemicals help support immunity, act as antioxidants against free radicals and have antimicrobial powers. Calendula is very gentle and is great for people who are especially sensitive or frail, young and old. It has been said that it helps the little babies with diaper rash and the elderly with bed sores and everything in between. It is often found in natural baby products. It is also safe for use on pets. It can be used internally and externally. Make a tea from the Calendula flowers (petals or whole flower heads), tincture it (1:5 in 60%), decoct it in honey or throw it in your stew pot and eat it. According to traditional uses and some studies, Calendula flowers are anti-inflammatory (study 1997), antispasmodic (helps with spasms); anti-microbial; anti-fungal: anti-viral (1997) and diaphoretic (to help you sweat to reduce fever.) It has also helped with lymphatic support during recovery from illness. Internally, it is an emmenagogue, which means it can promote menstruation. It works in a normalizing way for delayed or painful periods. In Europe it has been used for ulcers and gallbladder issues, indigestion and digestive tract inflammation. Calendula is antipruritic, so it helps with itching. Topically, it has been used for burns, to help wounds heal faster (studies 2005; 2006), bug bites, hemorrhoids, bruises, strains and chapped lips. (I used it in the lip balms I make.) Infuse Calendula flowers in a fixed oil for topical use, or use the infused oil to make salves or lotions. The flowers can also be used topically in a poultice or topically as a tea or tinct ure. I have a client who uses the tincture in his water pic and has restored his gums to a healthy state. Calendula is often mixed with other herbs to enhance formulas for healing, but also works well as a single herb. Teas and tinctures of Calendula can be used internally or externally. Please inquire for purchases or consultations: info@graciesgardentx.com or visit my Etsy store. Calendula is generally non-toxic, however people with allergies to plants in the Asteraceae family, may also be allergic to Calendula. There are no known drug interactions. Pregnant women should consult their physician or doula before using Calendula internally. Raised beds are a must if you have more rock than soil. This month’s article is full of gardening resources. Gardening is fun and easy. 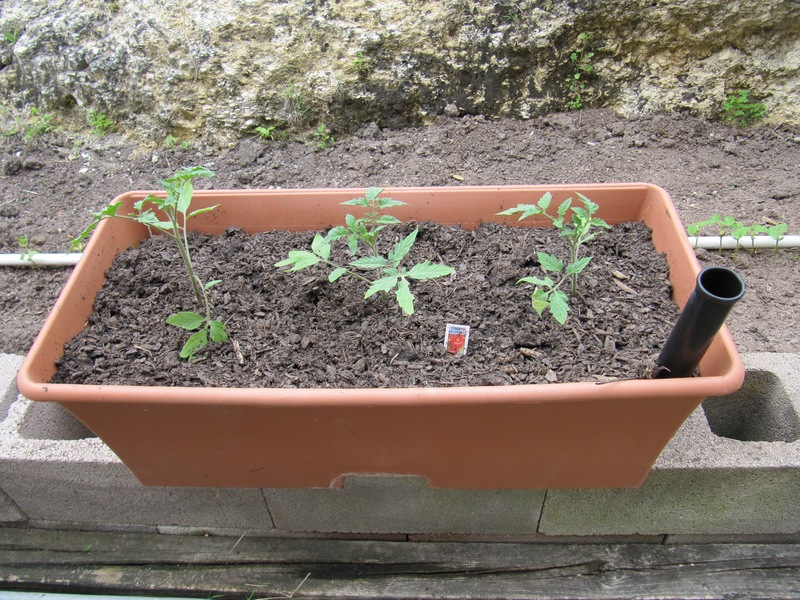 You can grow your own food and teach children or grandchildren about gardening and nutrition. After a crispy Texas summer, temperatures are cooling off and we’ve finally gotten some rain. 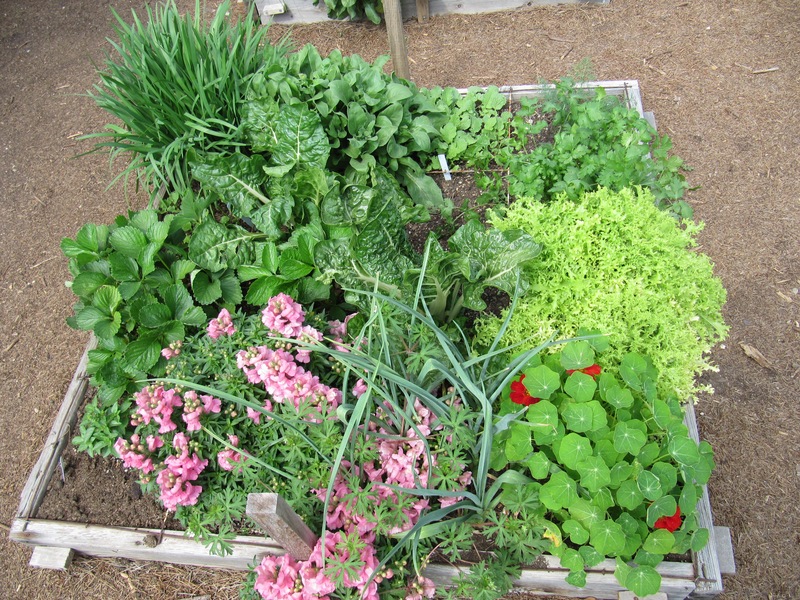 It is a great time to plant herbs and vegetables in Central Texas. Oh yeah, and in the fall and winter, it is not too hot to work outside. Check out this interactive USDA Plant Hardiness Zone Map for Texas for average minimal temperatures, for more specific places and temperatures. 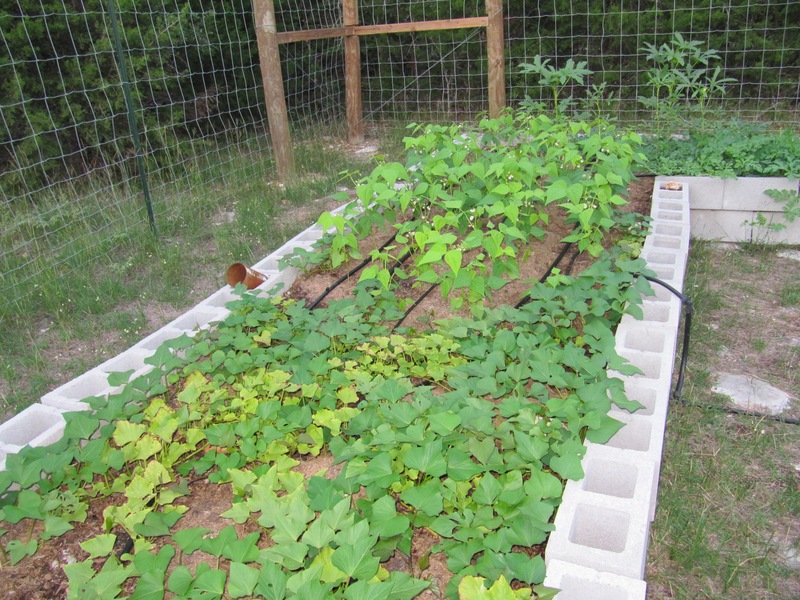 The growing season can be extended for a little while, by covering the plants with row cover. Intensive gardening makes great use of small space. Plant what you like to eat. Some vegetables are cool weather vegetables and some like the heat. See this chart for Travis County (Austin, TX) what to plant and when to plant it. Check with your county extension agent for information on planting in your county. Vegetable varieties make a difference for where you live. This site will give recommended varieties by Texas region. It will also tell the number of days until harvest. Here are more gardening tips from season to season. Your soil may need to be amended. I would stay organic and avoid the chemicals. Check with friends who have horses or chickens and ask for some manure. Adding it to your compost pile will help to break down other things in the pile and provide nitrogen that can be added to your soil. Add your kitchen scraps to your compost pile daily. Check this link for more info about organic choices and composting. Go to this link, for month by month information, about what to do in your garden and what to plant for Central Texas. Thyme growing in cinder block. Once you have your soil ready and you’ve chosen which plants to want to grow. Draw a simple garden plan of what you will plant where. Raised beds do well in Central Texas and allow for drainage. If you are East of I-35, you will have more soil to work with in the ground. If you are West, you will be lucky to have 2 inches before you hit rock. You can also grow many things in large pots, grow boxes or small intensive beds, you don’t need land to have a garden. Keep in mind how large the root system is when deciding on the depth of the bed or pot. You will need to consider that the deer will eat what you plant, if they can get to it. Grow boxes make gardening easy. Here are a couple of little herb books with a lot of information about planting and growing herbs and what they require. Herbs generally do well in poor soil and most grow well over winter (except basil, it is tender in central Texas). You can even grow a lot of your culinary herbs in your kitchen window in a pot. 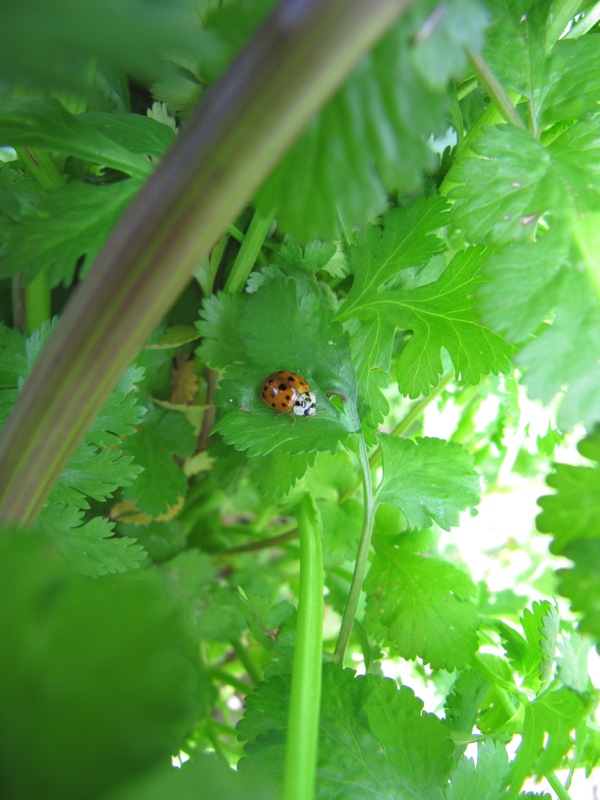 Cilantro is a good fall/winter herb to grow, and it goes to seed after the weather gets warmer. If you have never gardened before, herbs are a good place to start. Cilantro is a cool weather herb. Plant some now. Whatever you plant, don’t forget to add the Love. More resources for gardening in Central Texas visit my resource web page. Have fun and go plant something! Registration now open for: A Course In Practical Herbalism. Summer is a time when a lot of people take a vacation or travel. 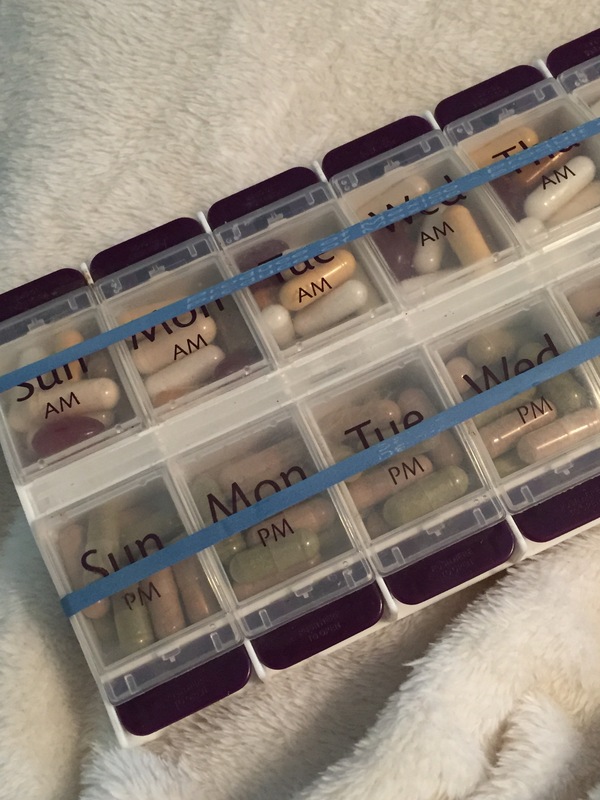 Whenever I pack for a trip, I try to think of all of the herbs and supplements I want to take with me, just in case I need them. This list will vary depending on the destination, but overall in my experience, I’ve come up with a list of things to remember to pack. This is an extension of my herbal first aid kit. This is great for anxiety. Some people get really anxious in new situations or especially when they fly. This can also come in handy before bed, especially when it is your bed away from home. Custom flower essence formulas can also be helpful, depending on your needs. The body can use some extra vitamin C, especially when stressed, or exposed to airborne pathogens. When traveling, we are often exposed to germs or allergens that can really mess up our vacation. Vitamin C helps boost the immune system, so the body can handle it. Emergen-C will also replenish electrolytes and provide anti-oxidants, which can help the body heal from sunburn. I like to travel with this magnesium powder, because it helps me sleep, helps prevent constipation, and can help with muscle cramps, if I’m dancing, hiking or over-exerting myself. Most of the population is deficient in Magnesium, the “Queen of the Minerals”. It helps everything work better. I pack ginger as capsules or tea or both, or as ginger candy. Ginger helps with nausea, queasy stomach and motion sickness. It also helps if I feel a sore throat or cold coming on and it also helps digestion. This is another immune booster. I like to use it especially for sinus pressure. This can be more of an issue if you are traveling to a different climate or different altitude. This is good for gas and bloat. It also helps with food poisoning, accidental poisoning or over-consumption of food or drink. Unfortunately, if you are taking medications or other supplements, it can prevent the body from absorbing them too. Timing is something to consider. Always seek emergency medical care, if you suspect poisoning. Bentonite clay capsules (made for internal consumption- please inquire) could also be a better alternative, since they do not interfere with other nutrients consumed. Also, if you have over-consumed anything, homeopathic Nux vomica is good for over-indulgence, heartburn or hangover. Remember to pack your digestive enzymes, Betaine HCl, and anything else you usually pack for digestion or gas relief. Gas-X or your favorite natural remedy such as peppermint candy or supplement designed for internal use. Consuming different foods and eating out can often cause more upset than usual. If you are going to the mountains, there are several things to take with you to help you adjust to the altitude. Some of these are gingko biloba, chlorophyll, osha root tincture, cordyceps mushrooms, and CoQ10 or Ubiquinol, the converted form of CoQ10. These help bring more oxygen into the body and tissues and may help increase lung capacity. I always pack ear plugs and an eye mask to help block out extra light and sound, when I travel. If you are traveling across several time zones it is useful to pack melatonin. I would only suggest it for temporary use and not for use with children. Too high of a dose can have the opposite effect, but it can help re-set your internal clock, especially if traveling far. Another sleep aid is passionvine tincture, which has traditionally been used for insomnia and anxiety. Sunburn can be relieved topically by Aloe vera gel or Soothing Sun Salve. A good All Purpose Salve is great to heal up minor first aid issues. Another Salve is great for anything itchy, bug bites or stings and rashes. Check your mini-herbal first aid kit and see what you know you want to have on hand, with relation to where you are going to be, and stock it with your favorites. There is a Jarrow probiotic called Saccharomyces boulardii that is great for stopping and preventing diarrhea. It is great to pack, just in case. 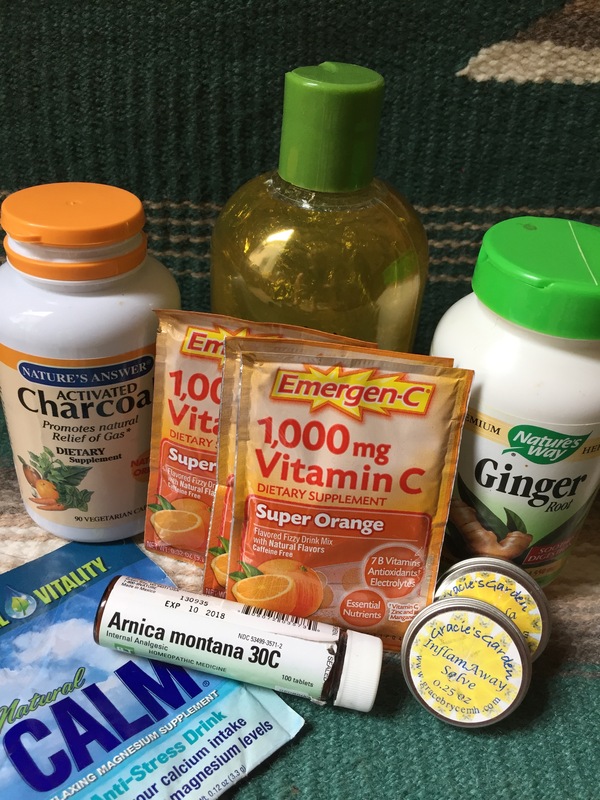 Arnica montana homeopathic gel, cream or pellets, or InflamAway Salve are both useful for injuries or aches that you might have while hiking or vacationing. Other things to remember to pack would include a Natural Bug Repellent, if you are going to be in a buggy area and natural sunscreen or protective clothing. Natural products put less stress on the body and may not be readily available for purchase where you travel, so it is a good idea to get it in advance and pack it for the trip. After all, who needs more stress? Sovereign Silver, a bio-active silver hydrosol, is also great to pack. I usually pack it in a travel sized spray bottle to help keep the germs at bay. Most of these things I keep in my first aid kit and depending on the trip, I will pack the whole kit. Remember to pack the vitamins and supplements you normally take. Organize them in a vitamin box and secure with rubber bands to keep the boxes from opening during travel. If you think you need a vacation from your supplements, maybe you need better supplements. Your body needs good nutrition all of the time. If you would like to make an appointment for a consultation to check your health and nutritional needs, click here. I would be happy to help you. Remember to shop at Georgia’s Naturals before you leave town! They only carry high quality products and have knowledgeable staff to help you. None of these statements have been evaluated by the Food & Drug Administration. No medical claims are made. These products are not intended to diagnose, treat, cure, or prevent any disease. The information contained herein is not intended to offer medical advice or to act in any way as a substitute for care and advice from a licensed physician. Yes, it is Texas and it is hot. There are a few things you can do to cool off. I have some recipes and tips to share. Here are some refreshing recipes I make to help hydrate and refresh during our hot Texas summer months. Cucumber water– slice a cucumber into a pitcher of filtered water and refrigerate or serve over ice. It is a very refreshing way to hydrate. 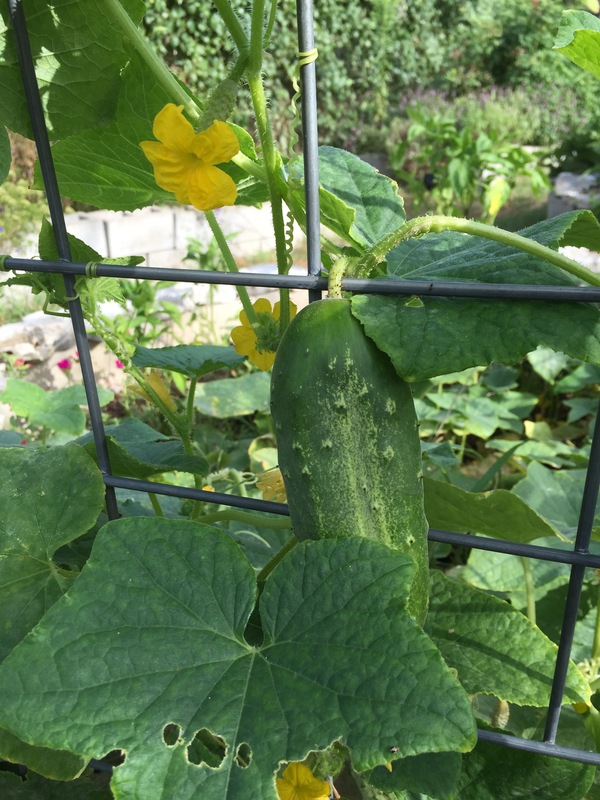 Cucumbers are not only cooling to the body, in that they reduce inflammation, but they are full of antioxidants and B vitamins & minerals, which help the body deal with stress. Now you can be as cool as a cucumber. Hibiscus Mint Limeade– I was first introduced to this drink at a Native American feast day in New Mexico. Make your limeade from fresh squeezed organic limes (about 1 cup), dried cane juice (3/4 C) per pitcher of filtered water. Add hibiscus tea (1-2 C strong tea) to the limeade and bruised spearmint leaves. Float slices of lim e and mint sprigs in the pitcher. Refrigerate or serve over ice. Adjust to taste. 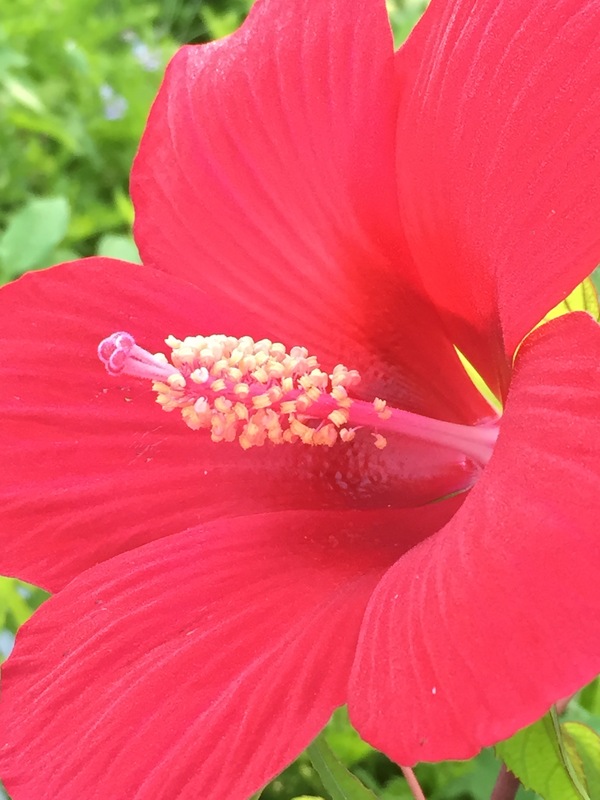 Hibiscus helps maintain normal body temperature. It has also been used to maintain healthy blood pressure and cholesterol levels. Limes are cooling, have an alkalizing affect on the body and help with digestion, as does the spearmint. A third drink, available at your grocery store is Coconut water. It is a better and more natural electrolyte replacement that some of the other commercial replacements on the market. Be careful to check the sugar content. Read labels for sugar content. There will be some, but it shouldn’t be excessive. Keep your head cool, to keep your body cooler. The body uses circulation of the blood, muscles and sweat to help regulate body temperature. Water can help inside and out, so cool off with a dip in the pool or apply a fine mist of water to the skin. Some outdoor places install misters to help their customers cool off. The moisture will help carry the heat away. The best way to escape the Texas summer heat, is to go to the mountains. That’s where I’m headed. Until next time…..Be Cool …..Be Well….. In Central Texas, we begin to notice a little green emerging here and there in January. For some people, it is time to remove the early weeds before they take over. 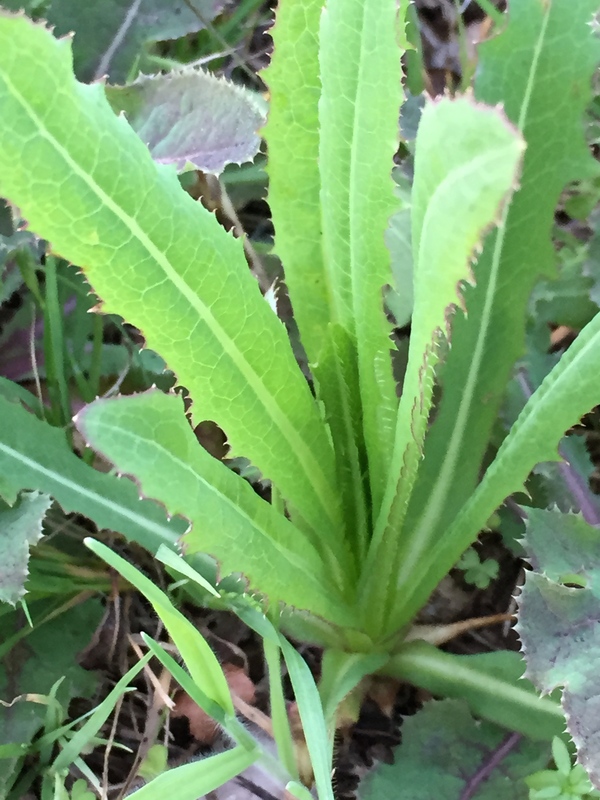 Many of these little winter weeds are useful medicinally or as edible plants. Many of them are rich in nutrients. Plants have been used for medicine for thousands of years, and can be reliable medicine. It is interesting that many of the same herbs are found in many parts of the world and will grow in various climates, although happier in some places, than others. Perhaps you have wondered what these plants are, or if they are good for anything. Hopefully, this will help you identify the “weeds” in your yard and maybe inspire you to make good use of them. There are so many plants that could be confused with dandelions, but fortunately, none of the look-a-likes are poisonous. The only stems are the flower stems, which along with the leaves, grow directly from the root. Dandelions get their name from the French “dents de lion” or “teeth of the lion”, because the leaves are shaped like lion teeth. They are smooth and not prickly. They may also have a little red coloring to them. The leaves are a little bitter and are tasty in salads. Dandelion has a diuretic effect and helps remove urinary waste, without depleting minerals. Traditionally, Dandelions have been used for liver, kidney, spleen and skin support. I think of these yellow flowers as “little drops of sunshine”. This cute little herb is found worldwide. It contains Vitamin C & flavonoids. Traditionally used internally for rheumatism, gout, stiff joints, tb and diseases of the blood. It is commonly used externally for hemorrhoids, inflammation, poorly healing wounds, eczema, psoriasis, and other skin disease, cuts or wounds, especially when there is irritation or itching. Juice it with pineapple juice for an extra boost or throw it in your soup. The little flowers look like stars. 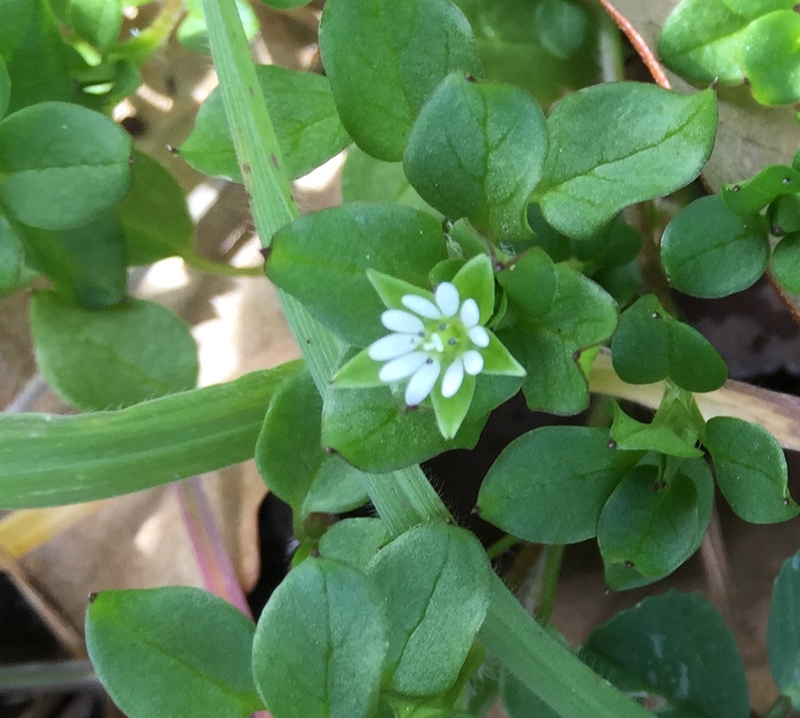 This early spring herb has fruit that looks like little hearts. You have a Valentine in your yard! 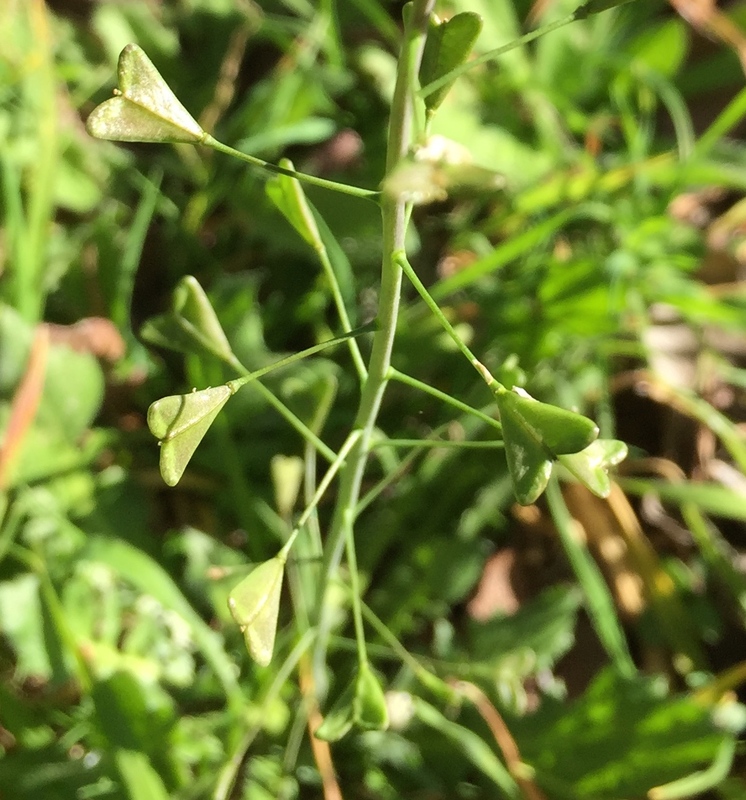 Shepherd’s Purse has been used traditionally to regulate blood pressure and for excessive and difficult menstruation issues. It works as a diuretic, styptic and vasoconstrictor. This is one of our early spring plants, in bloom now. This delightful herb has a sticky feel to it. This is an old spring tonic herb. Culpepper said “It is a good remedy in the spring to cleanse the blood and strengthen the liver, thereby to keep the body in health, and fitting for the change of season that is coming.” Add it to your juicing or steam it and eat it as a veggie. It doesn’t dry well, so use it now, while it is fresh. This one is emerging now as a bunch of upright leaves. 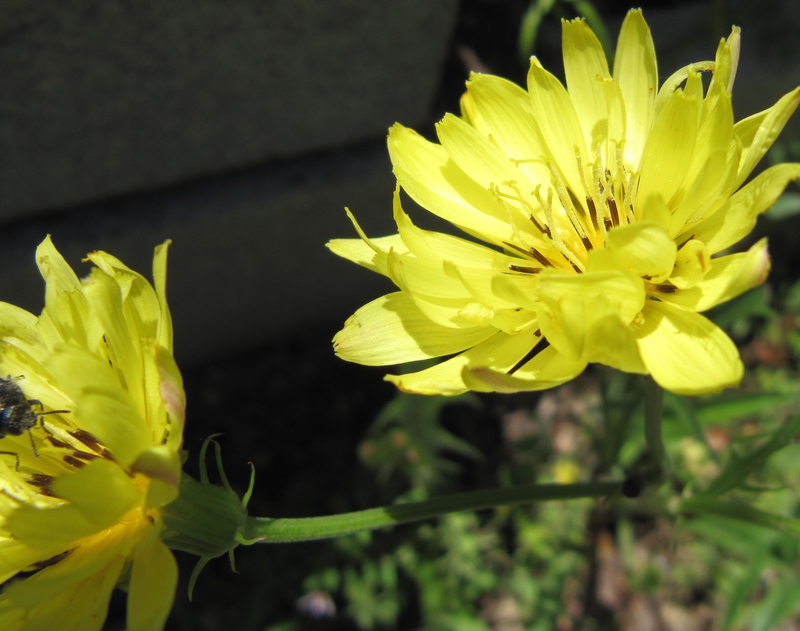 It will eventually form a stalk that can be a couple of feet tall and bloom yellow flowers. If you pull a leaf near the stem, a white liquid will bleed out. This bitter substance is a very mild opioid and at best might help a headache, if you are lucky. Harvesting the resin is a tedious task. It will grow throughout the summer and too easily will re-seed itself and can take over. Plantains are beginning to emerge now, if you look for them. Traditionally, Plantain has been used for bites and stings to stop pain, itching and inflammation. You can make a spit poultice by chewing the leaves and then applying them to the sting. Plantain is also one of the remedy plants for poison ivy along with jewel weed. Another traditional use of Plantain is for hemorrhoid relief. 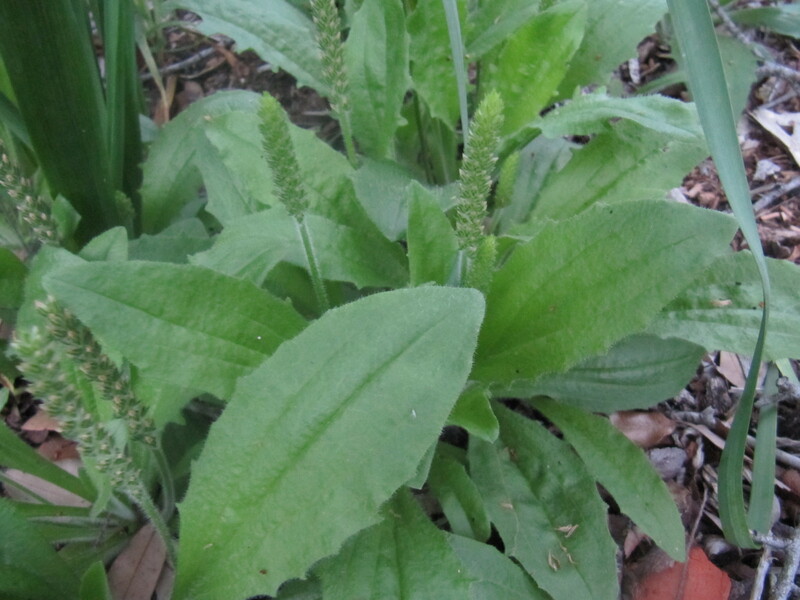 Do you have any Plantain growing in your yard? 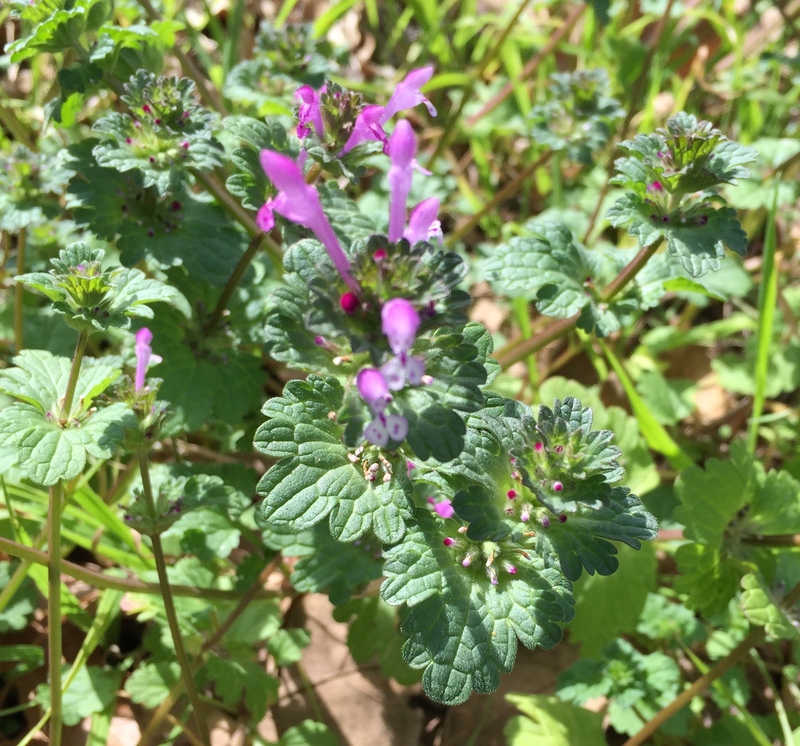 This cheerful weed with purple flowers, is a member of the mint family and has square stems like the other family members. 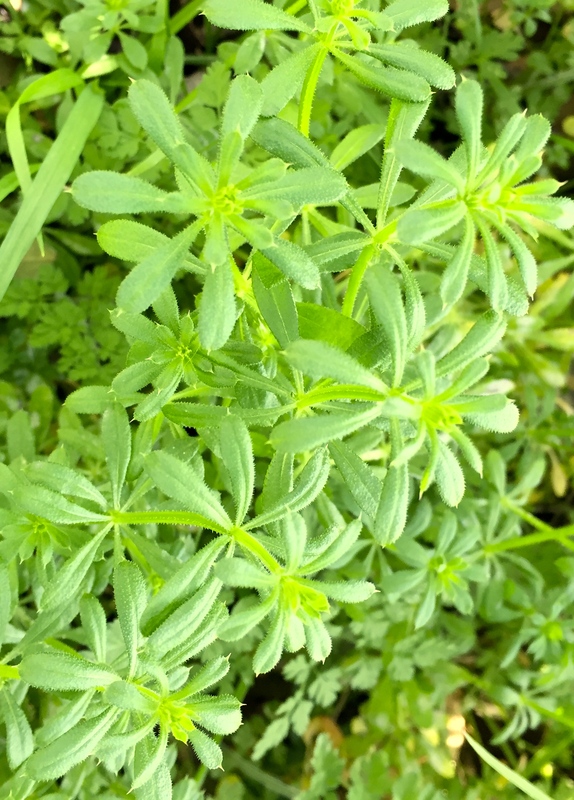 It is edible and can go into salads or soups. It is high in vitamins, iron and fiber. Chickens like it, but livestock should not eat it. Medicinally, it has been used externally in a poultice for bleeding, burns, bruises, stings, wounds and reduces inflammation. Internally, as a tea, it has been used for diarrhea, fever, inflammation and rheumatism. It is also an astringent, which helps to tone and strengthen tissues. More than likely, you have one or more of these plants growing around you. Some have a longer growing season than others. If you plan to eat them, I would suggest putting them in a bowl of water first. If there are any aphids or other insects or worms on them, they will fall off in the water. Of course, you want to avoid any that have been sprayed with pesticides or poisons and only harvest, when there is abundance. Avoid harvesting along roadsides where auto exhaust will contaminate the plants. Remember to leave enough of the plants after harvest, for them to re-seed themselves for the next season. 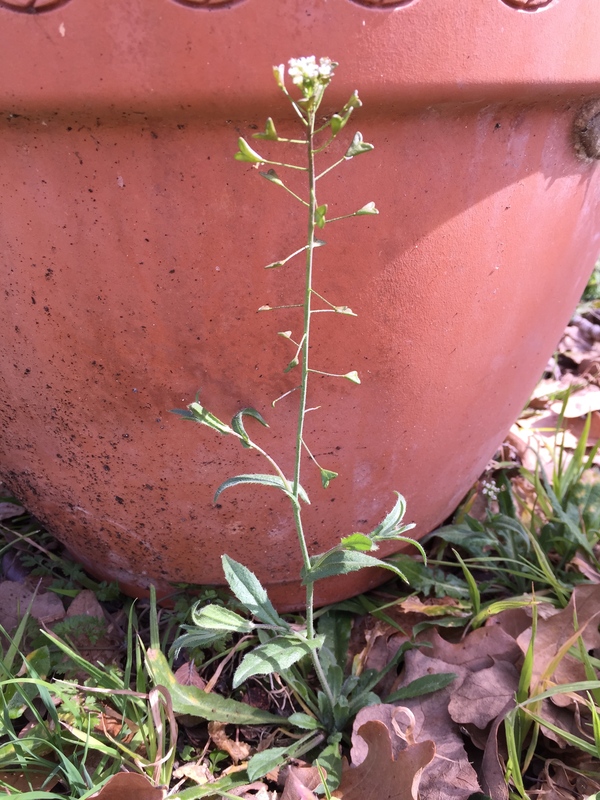 Enjoy your winter weeds while you can.